Microsoft has just released Security Compliance Manager v2.5 beta https://connect.microsoft.com/site715/program2682 along with a heap of new security baseline for you to use to compare against your environment. In case you are not familiar with SCM then it is a great product from Microsoft that consolidates all the best practice for their software with in-depth explanation for each setting. 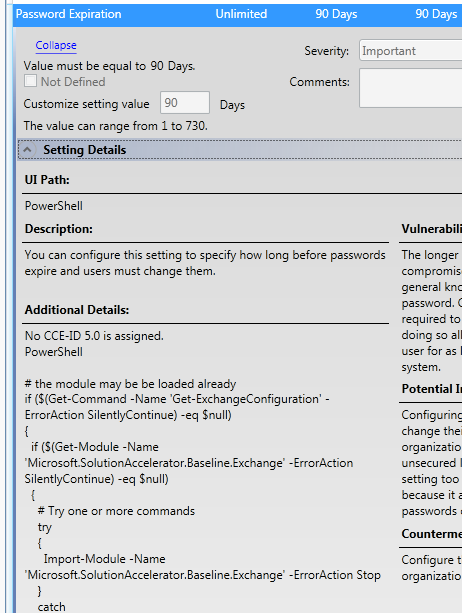 Notably this new version has security baselines for Exchange Server 2010 and 2007. These baseline are also customised for the specific role of the server. 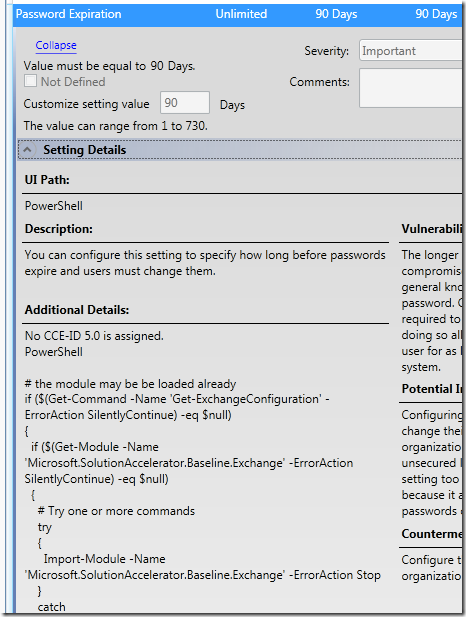 Also interesting is the baseline settings not only include group policy computer settings but also Powershell command to configured aspects of the product that are not as simply to make as a registry key change.